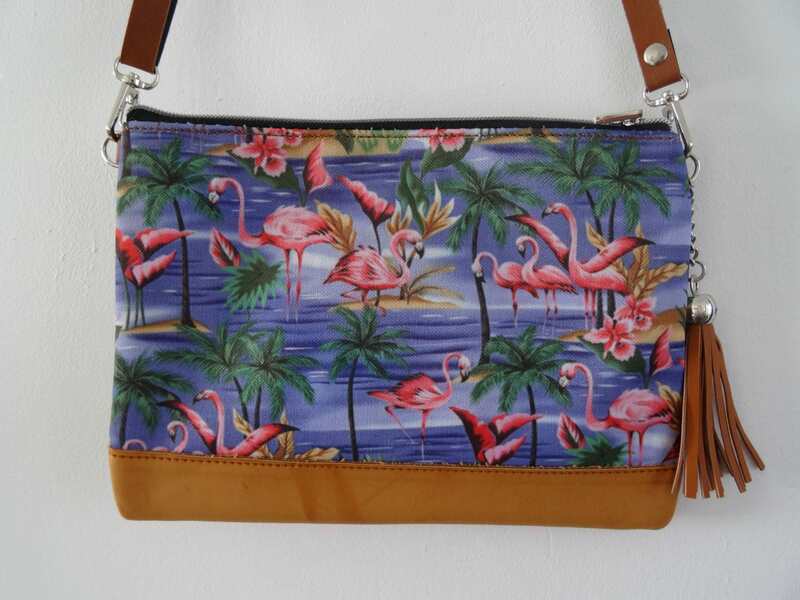 It has a blue tropical island design with flamingos and palm trees, perfect for a summer holiday. 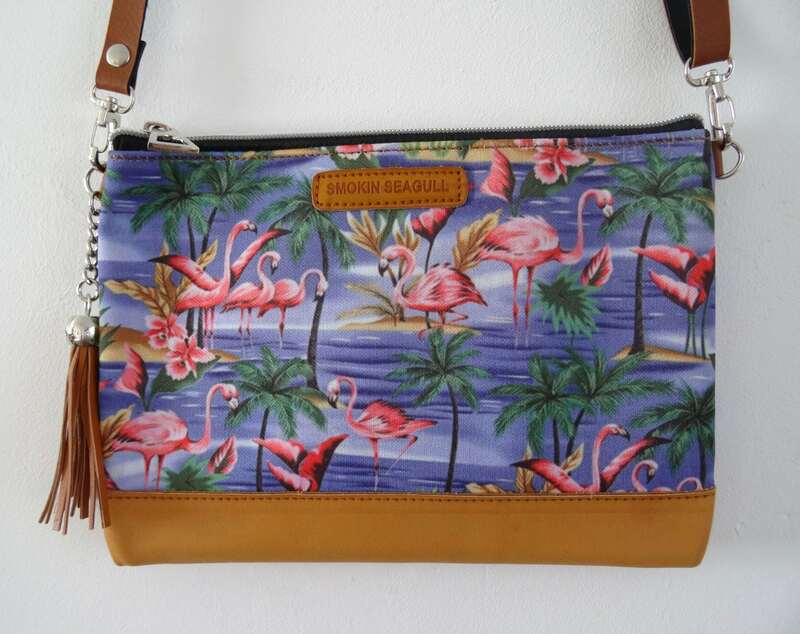 It has a long adjustable strap which is detachable so the bag can also be used as a clutch bag. 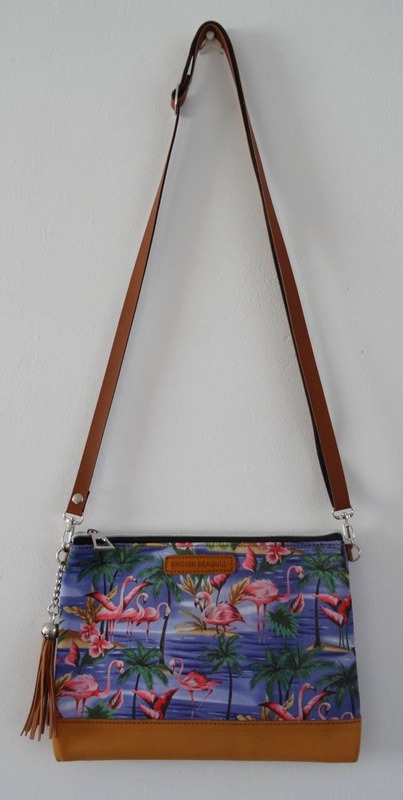 It zips up and has an inside pocket.